UPDATE: Turns out that someone at Nintendo Germany screwed up. The executive editor of IGN just tweeted that he re-confirmed with SEGA that the third mystery title won’t release in 2013. Guess we’ll have to make due with only two new Sonic games on Nintendo platforms this year, unless you count the 3DS version of Lost World as a seperate game. Sorry for the confusion folks. It was only a couple of weeks ago when Nintendo announced that they made an exclusive partnership deal with SEGA for three brand new Sonic games exclusive to Nintendo platforms. 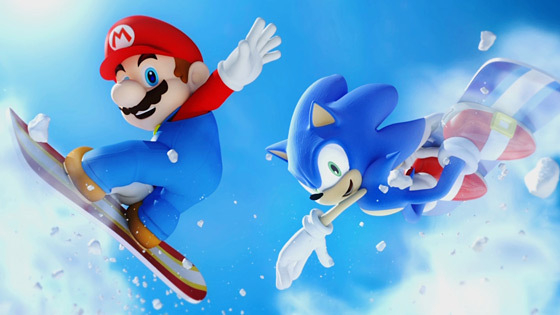 The first two of these games being Mario and Sonic at the 2014 Winter Olympic Games and the recently revealed Sonic Lost World, both bound to be released later this year. Of course this leaves one mystery game yet to be announced. Turns out we may not have to wait that long to know what it is. According to Sonic Stadium, Nintendo Germany spilled today in a press release that all three exclusives will be released this year. That sure is a lot of Sonic games for Nintendo haters to be pissed about in a single year. Of course this also means we probably won’t have to wait that long to know what this incredibly mysterious and secret game is. E3 is just around the corner, so it wouldn’t be surprising at all if it’d be announced there. Earlier this month, Japan saw the arrival of SEGA’s first set of 3DS Classic remakes of four key titles from their Mega Drive and arcade library. 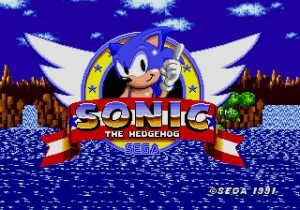 Sonic The Hedgehog, Altered Beast, Super Hang-On, and Space Harrier all received a 3D-depth face lift and plenty of other features, but SEGA remained quiet as to if these titles would make their way to western 3DS systems. Enter the Australian Classifications Board, which posted up ratings results for 3DS versions of Sonic and Altered Beast. In the past, every time the ACB has released ratings for games, the titles sooner or later swept across other regions, so the fact SEGA’s 3DS Classics library is likely going global shouldn’t surprise anyone. It’s not quite the Christian “Taxman” Whitehead and Head Cannon release of Sonic 1 that iOS and Android platforms saw, but it’s still a Sonic 1 for those that want yet another copy of the game.